Givenchy hosted its first New York fashion show on September 11th, 2015. Meanwhile, Givenchy’s flagship store at Madison Avenue in New York was also opened. In the past few years, Givenchy has become one of the fastest growing brands in the LVMH Group. Recently, Luxe.Co had an exclusive interview with Mr. Philippe Fortunato, CEO of Givenchy Global. Luxe.Co: You traveled to China when you were a student previously. What is your understanding of China and the luxury market in China? Fortunato: I enjoyed every visit to China. The energy and changes in China have always inspired me. It is a common misunderstanding that China only entered the luxury market until the 1990s. In fact, the ancient China was once at the forefront of the luxury market. At that time, the ministers were the largest luxury consumer groups, pursuing exquisite furniture, porcelain, art and fabrics. The situation changed afterwards. But China started accelerating in the 1980s. China has been eager to regain market leadership over art and luxury products. China’s luxury market can be described as two pyramids. One pyramid is the growing traditional middle class, with increasing numbers and rising social ranking. They are smart, successful entrepreneurs and professionals with a sense of belonging. Personal image is important to them. Buying luxury goods is part of shaping the image. The other pyramid is the high-net-worth groups with a lot of wealth, similar to the European upper-class elites who experienced “Grand Tour” in the 17th to 18th century. These high-net-worth individuals pursue unique watches, cars and a variety of custom items. They are actively involved in building relationships with artists, craftsmen or companies. They appoint and purchase works that reflect their personal character, share with their friends, and may eventually donate them to museums or galleries. The overlap of these two groups is the mainstream luxury market, and the growing part of the luxury market. This growth is not necessarily visible, but I believe that this growth exists and will continue. This is why we are so convinced of this market. 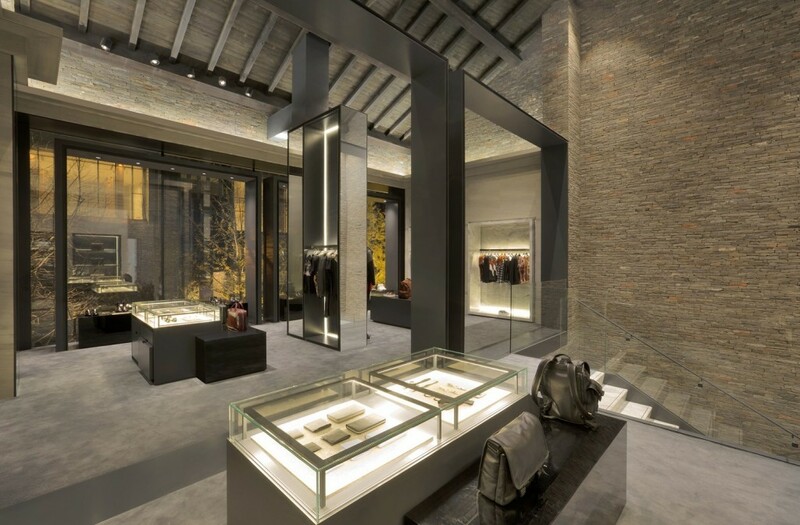 Luxe.Co: Givenchy opened a flagship store in Chengdu in December 2014. Why did you choose a non-first-tiered city in China? Fortunato: Whether it is commercial or cultural, Chengdu has developed into one of the most important cities in China. With the government’s massive infrastructure investment, Chengdu is considered a unique city, not just a first- or second-tiered city. The successful and expanding small and medium enterprise groups contributed to the rising of Chengdu city. Those company leaders have the consumption power and are willing to spend on brands that they trust. But they don’t have the time to travel. Therefore, it is very important to set up a Givenchy store in Chengdu and have the brand exposure to potential customers. Similar to other stores, our correct location and correct opening time ensure the optimization of the new store. The construction team chose a unique location for Chengdu store, and tailor-made this flagship store together with our Creative Director Riccardo Tisci. To build this store, they even used some of the bricks from 15 traditional Chinese houses nearby that were demolished. Luxe.Co: We noticed that customers can pre-order some products on your Chinese website. Givenchy has also developed mobile app. What’s your plan in the e-commerce area? Fortunato: We will not rush in developing in-depth e-commerce experience. We hope to convey brand stories and build brand image through our quality, craftsmanship, unique shopping experience and excellent services. Such value ​​requires our interaction with customers, which is difficult to communicate online. In addition, I am also concerned about the shaky trust relationship of consumers buying luxury goods online. Many fake products have appeared online. Similar to our attitude towards opening stores, we will be cautious with the e-commerce retail trend. Givenchy is the first European luxury brand offering mobile applications with online purchase function. But we will be cautious. China has different needs and expectations. We need to address these needs through localization. Luxe.Co: China market is growing rapidly. But the economic transition period may not be stable. For example, due to the anti-corruption policy and the recent volatility in China’s stock market, many luxury brands have closed some stores. What’s your view on the China’s luxury market? What’s Givenchy’s corresponding strategy? Fortunato: In recent years, we have maintained strong growth in sales turnover while controlling the number of stores. This allows us to monitor the customer experience at every Givenchy store and ensure that it meets the brand value. At present, we have no plans to close any store, but may relocate some of them. Philippe Fortunato is the fifth CEO of Givenchy. Prior to Givenchy, he was the President and CEO of Louis Vuitton Northern Asia and executives for Christian Dior and Fendi in the LVMH Group. He also worked for the underwear brand Chantelle and Dubai luxury retail group Chalhoub previously. On September 11, 2015, Givenchy held a fashion show in New York with the theme of “Love and Share.” The venue is located near the Hudson River in the Tribeca area of ​​New York. The show was built with eco-friendly materials. Many fashion professionals, celebrities, fashion school students, New York’s new generation of elites and local residents attended the show. The fashion show was not only a usual new product release. The artist Marina Abramovi constructed a commemoration with her creation. The entire event site was built with eco-friendly materials, which symbolized the endless vitality of all things. 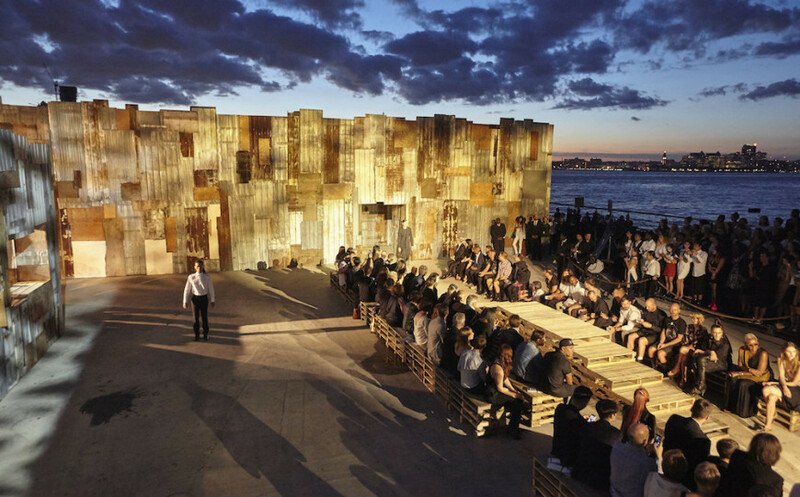 At Pier 26 on the Hudson River, Givenchy hoped to create a rebirth in the name of love. The event issued 800 public invitations, which was the first in luxury fashion. Many places in Manhattan had live broadcasting of the fashion show, to help the residents of New York to witness this love ceremony with Givenchy. Click here to watch the fashion show. NEXT POST Next post: Luxe.Co Exclusive Interview with Michael Beutler, Sustainability Operations Director of Kering Group | Why Should Luxury Brands Be Sustainable?